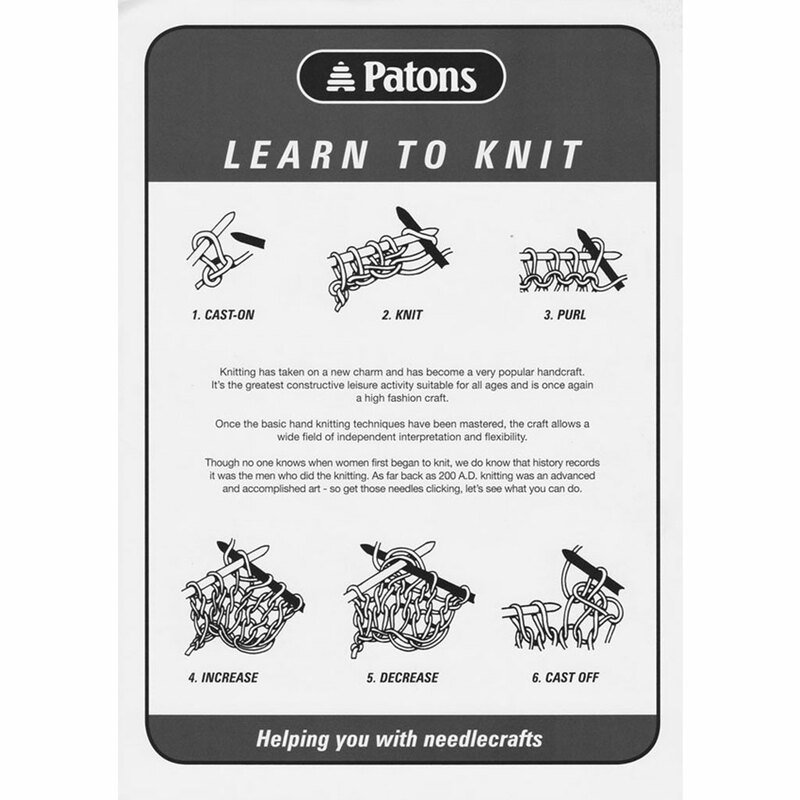 This handy 4-page black-and-white leaflet from Patons will guide you through the basics of how to knit. Content includes casting on, knit stitch, purl stitch, increase, decrease and cast off. Looking for beginners patterns to test our your new skills? Try Patons Learn to Knit Book 1249 with 19 simple projects, or for kids learning to knit, Panda Learn to Knit Book 800, with 56 fun projects. This pattern leaflet was added to our range on 9th November, 2015.